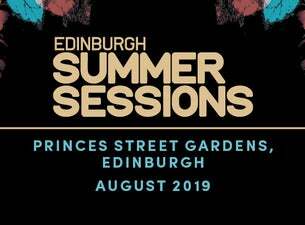 Edinburgh Summer Sessions have revealed the line-up of artists headlining the seven individual shows this August. Florence + The Machine will open proceedings with a pair of headline shows, taking to Princes Street Gardens in Edinburgh on Wednesday 7 and Thursday 8 August 2019. Primal Scream headline on Saturday 10 August 2019, joined by very special guests Johnny Marr. The following day, Sunday 11 August 2019, sees Chvrches take to the Scottish capital. Britpop heroes James appear on Thursday 15 August, followed by The Courteeners on Friday 16 and ska veterans Madness on Sunday 18 August 2019. Florence + The Machine take to the series of concerts following last year’s acclaimed High As Hope full-length, and off the back of recent tracks Moderation and Haunted House. The band, fronted by Florence Welch, bring an extensive repertoire of hit singles including Dog Days Are Over, Shake It Out, Spectrum (Say My Name), and their breakout cover of Candi Staton’s You Got The Love. Scottish outfit Primal Scream released the highly influential Screamadelica back in 1991. Fronted by Bobbie Gillespie, the band have continued to release music throughout the following decades, most recently unveiling Chaosmosis in 2016. Chvrches arrive at Edinburgh Summer Sessions having released their third studio album Love Is Dead last year. The album adds huge tracks such as Get Out and Never Say Die to the likes of The Mother We Share and Leave A Trace. Manchester’s James became household names during the height of Britpop, releasing iconic singles such as Sit Down and Laid. Last year they released their 15th studio album, Living in Extraordinary Times. Celebrating critical acclaim with their 2008 debut St Jude, The Courteeners dropped their fifth studio album Mapping the Rendezvous in 2016. They now take to Edinburgh Summer Session on Friday 16 August 2019. The series of live shows will then be rounded off in style by ska heroes Madness, renowned for their ’80s hits Baggy Trousers, One Step Beyond, It Must Be Love, House of Fun and more. Continuing their celebrated career, the band – fronted by the enigmatic Suggs – released their most recent full-length Can’t Touch Us Now in 2016.